"One of the slant routes, I think some pressure fell on it and it dislocated, so I popped it back into place a couple of times during the game. A 55-yard touchdown Sunday night helped Josh Gordon top the 100-yard mark in a game for the 12th time in his career. 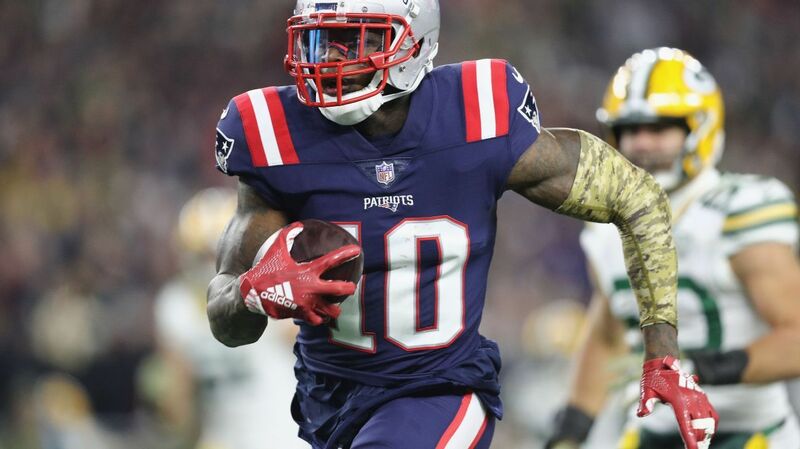 Maddie Meyer/Getty Images Gordon capped off the Patriots' scoring with a 55-yard catch-and-run for a touchdown in the fourth quarter -- a play that he said seemed to catch the Packers off balance. "He's extremely tough," said running back James White , one of the team's captains. "He's big, strong, a fast guy who can catch the ball and run routes.